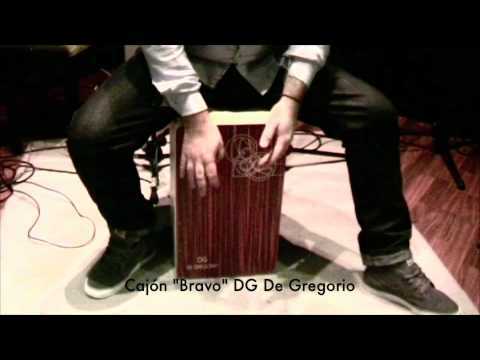 The DG Bravo is DG’s workhorse cajón- an instrument for any player and any musical situation. DG have taken the flamenco-style cajón and stripped it down to its most essential elements to bring you a Back-To-Basics cajón like no other. The body of the Bravo is made from 100% first-grade birch plywood, and it features a thin 2mm, 4-ply birch front-plate for extra sensitivity (the same front-plate as the top-of-the-line Yaquí model), as well as a fixed snare-system with two steel-core strings. The Bravo is finished with a double coating of polyurethane satin lacquer, and the front-plate comes standard in either Makassar or stunning Red Makassar. As with all DG instruments, the Bravo is handmade by artisans in their factory in Spain.